This interdisciplinary conference proposes to explore the visual cultures Italians have created, consumed, and been the subject of from early modernity to the contemporary “post-text” era. 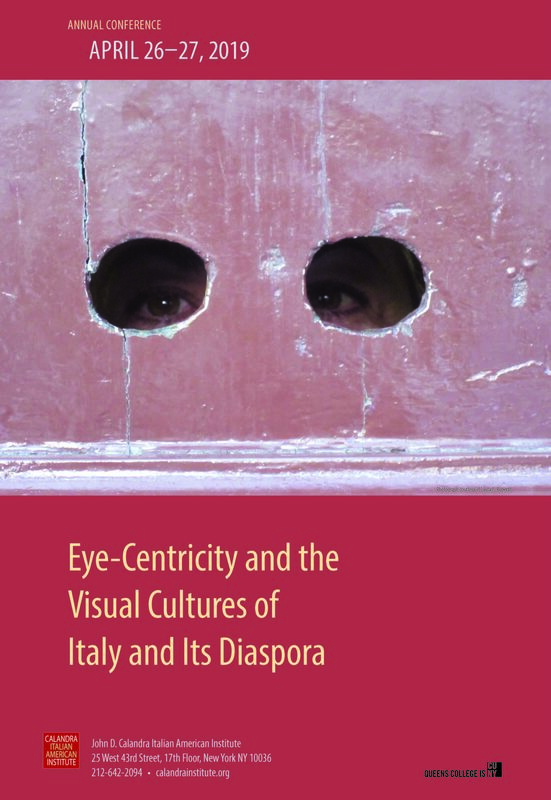 Italians—including inhabitants of the nation-state, members of the diaspora, and former colonial subjects—have been conceptualized, rendered, and understood to a large degree by the visual. Landscapes (e.g., Roman ruins, the “old neighborhood”), individuals (e.g., the picturesque contadina, the criminalized immigrant), objects (e.g., fascist architecture in Asmara, pizza), and cultural concepts (e.g., bella figura, the evil eye) have been the stuff of visual arts, media, advertisement, tourism, and vernacular renderings concerning Italy’s histories and identities, within and beyond the country’s geopolitical boundaries. These and other visual frames are didactic modes by which tropes of Italy and Italians are promoted and consumed, contested and re-imagined. To read the entire conference program (subject to change), please click here.